Raspberry Pi Foundation has made available 10 limited edition beta boards of their $25 ARM Linux PC on Ebay. These boards are currently being auctioned with highest bid being £2,050 at the time of writing this article. 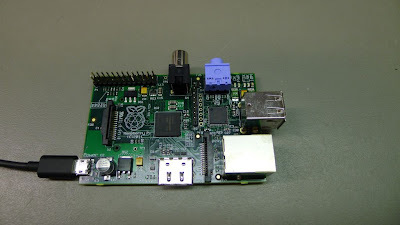 Raspberry Pi is a credit card size $25 computer that can plug into TV and a keyboard. It can be used for many of the things that you do on your desktop PC, like spreadsheets, word-processing and playing games. It is also capable of playing high-definition video. These limited edition boards will most likely have Debian installed by default. All the proceeds from this auction will go to the Raspberry Pi Foundation and will help them bring a quality product that will help kids all over the world in their education. The auction will end on January 7 and don't be surprised if it gets really high bids as lots of people appreciate efforts of Raspberry Pi Foundation in bringing a quality low cost computer to the masses.